It is often billed as the most important and consequential financial decision a household can makes, so it probably follows that buying a home should not be a quick one. Findings from the National Association of Home Builders' (NAHB's) Housing Trends Survey Report indicate that prospective home buyers take the decision seriously. They are also apparently willing to take their time. 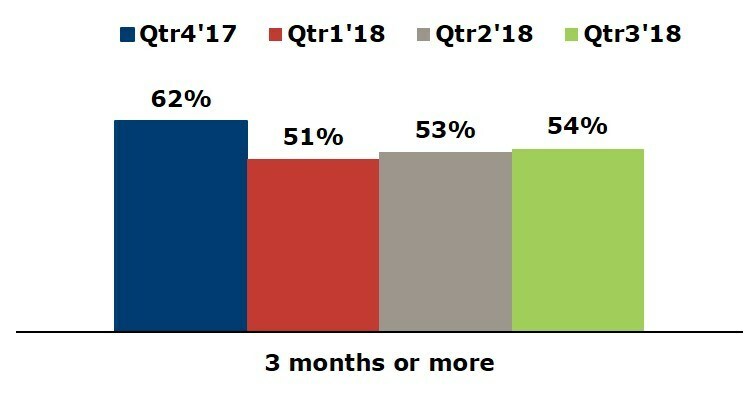 In its fourth and final report derived from the third quarter survey, NAHB analyst Rose Quint says that 13 percent of those polled indicated they intend to buy a home in the next 12 months and of those, almost half (46 percent) have already begun the search. Of those, 54 percent have been trying to find the right home for at least three months. Regardless, the number indicates that home buying is a protracted event and NAHB asked respondents why it was taking so long. The number one reason given was the difficulty finding a home at a price the buyer could afford. This was followed by responses that were essentially variations on the same theme; they are unable to find a home with the desired features, or in the right neighborhood, or because of the competitive nature of homebuying. But they are a hardy and determined bunch. When those who have been in the hunt for three months or more were asked what they intended to do if the right house remains elusive, 61 percent said they would continue the pursuit in their preferred location while 37 percent said they would expand the area in which they were willing to live. Slightly less than one quarter were open to buying a smaller or older home while 16 percent indicated they would raise their price target. Only 18 percent said they will give up trying to buy a home.